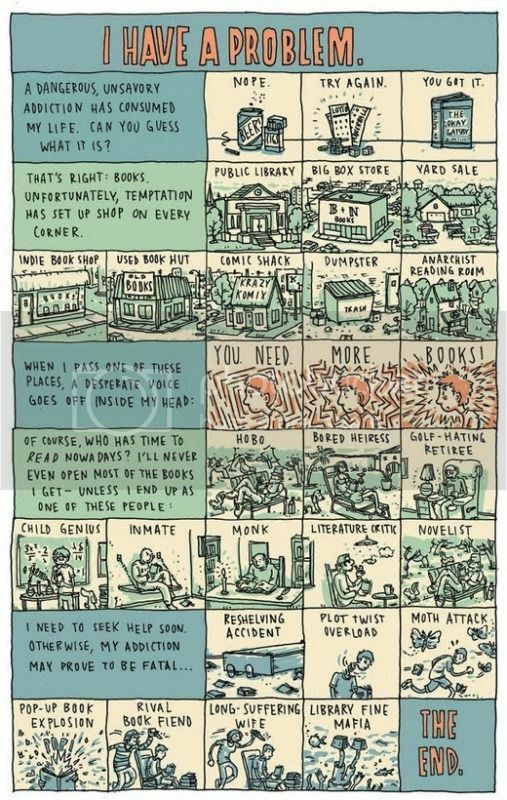 Is it terrible that the first thing I thought on reading this brilliant cartoon by Grant Snider of Incidental Comics was, "Ah! Used Book Hut! I haven't been to one of those in a while!" LOL! I love it. Especially the Library Fine Mafia and the Pop Up Book Explosion. Here's another detail on this cartoon that I like: the hobo and the novelist look virtually identical. LOL.